The legendary name of the Pony Express calls up thrilling images of horse and rider racing across treacherous terrain. Yet the actual Pony Express lasted for less than two years (April 1860 to October 1861). It owes its enduring fame to the romanticizing of the American West that began in the late 19th century. 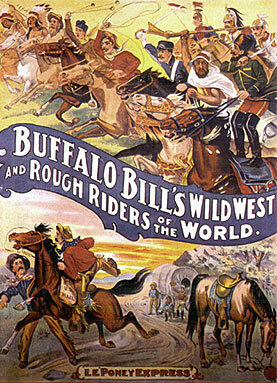 Pony Express riders have raced through Wild West shows and dime novels, comic books and movies. Pony Express: Romance vs. Reality examines fictional and actual stories from the history of the world's best known mail carriers.